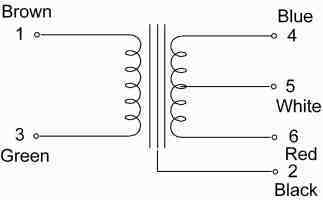 APPLICATION For use as a line input transformer for tube or solid state amplifier. Centretap on secondary so the transformer can be used as a bridging input phase splitter for use in a push-pull amplifier. Available with leads or for PCB mounting. FEATURES Combination Mumetal/M6 core for minimal harmonic distortion, high level capability. 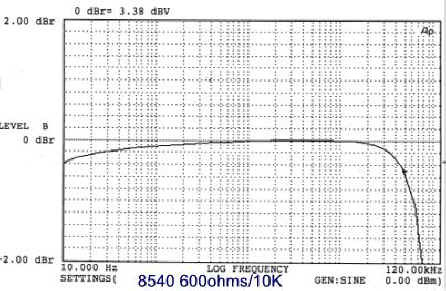 The Mumetal part of the core also ensures excellent dynamic range and bandwidth and transient response. 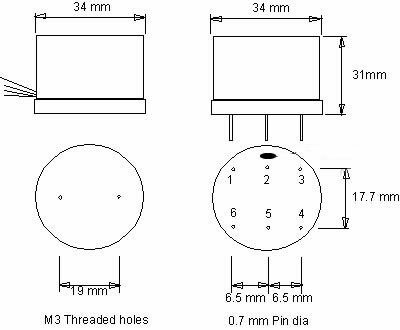 Internal electrostatic shield and bifilar wound primary for high common mode noise rejection. Mumetal can for magnetic shielding. Available on request with secondary centre tap instead of primary for phase splitting etc. 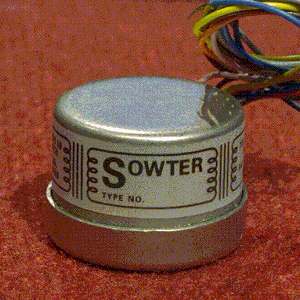 The secondary may be loaded with 50k0 ohms which ensures a high input impedance of about 3k0 ohms.